If the “Sweet Science” of boxing has taught us anything over the years, it is that brains generally rule inside the ropes. It is usually the more intelligent fighter who wins. After all, the fundamental principle of boxing is to “hit and not get hit.” While many brawlers are revered in the sport for their heart and bravery, putting on show after show for the fans, such a style is considered limited to many purists. 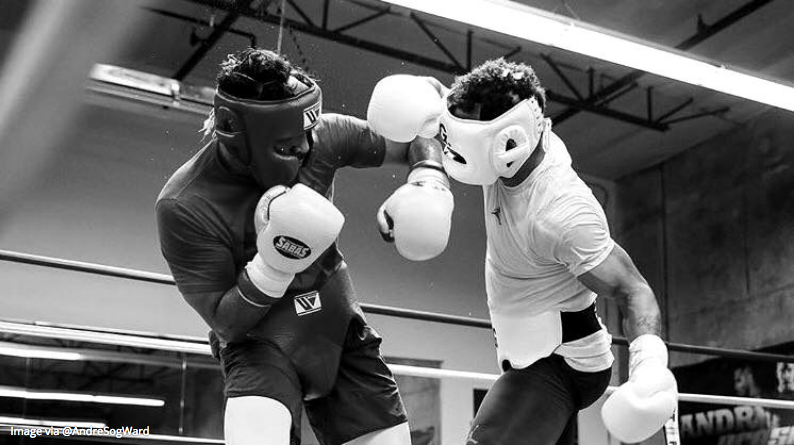 For boxing enthusiasts, the true beauty of the game is best exemplified in the styles of the smart and intelligent fighters who can “run in the rain and not get wet,” as Teddy Atlas once put it. A boxer will invariably be matched up against every style of fighter at some point in their amateur or professional career. From the pressure fighter to the boxer-puncher, no one opponent is the same. Some are all power and no brains, while some prefer to turn their adversary’s power and brains against them. This brings us to one of the more cerebral styles in the sport: the counterpuncher. The word “counterpunch” means to hit back in response to a punch thrown by an opponent. Of course, the counterpuncher is not looking to exchange punches, per se, but to avoid their opponent’s questions (punches) in order to exploit them with the perfect answer. So, how exactly do you devise a plan to beat such a cultured fighter? Well, put simply, you will need a pretty good gameplan. First of all, you will have to know your enemy. Counterpunchers are typically categorized as defensive fighters. To understand how successful – but difficult – this style is to master, let’s mention some of greatest exponents of the counterpunching style. Think Sugar Ray Robinson, Willie Pep, Floyd Mayweather Jr., Pernell Whittaker, and Archie Moore. Sugar Ray Robinson is arguably the greatest fighter to ever lace up gloves. An incredible tactician, blessed with pretty much every attribute there is to have. Regardless of his power, speed, footwork, ring IQ and everything else, he was a strong advocate of fighting smart and counterpunching. One of the major reasons why these all-time greats enjoyed such success was down to their style. Counterpunchers are notoriously difficult to beat if they have desirable attributes such as a high fighting IQ, speed, reflexes, and great footwork. Unless you fight smart – and know how to play chess inside the ropes – you’ll be picked apart and shown up. Nobody wants that. Counterpunchers rely on waiting for you to open the window. They will only throw once you show your cards. They aim to figure you out and use your weaknesses against you. In fact, they will also find a way to turn your strengths against you, too. Therefore, the first thing you need to do is ensure your machine is well-oiled and in immaculate condition. Against a counterpuncher, it could end up being a long night. These fighters don’t tend to get hit a lot and prefer to score rounds rather than expend unnecessary energy on throwing punches. The shots they do fire are only executed when they believe they have the best chance of landing. Chasing a counterpuncher around the ring all night – which will happen unless you end the fight early – will take up a lot of energy. Expect to be hitting ghosts all night, so you need to make sure the gas doesn’t run out if you want more than a puncher’s chance of winning. OK, not everyone is blessed with great footwork. Even those amongst us who have put years of practice in still appear flat-footed. The counterpuncher will usually come with great balance and exceptional footwork. They will move laterally, in order to avoid being boxed in. You must understand how to cut the ring off in order to get them where you want them. Following a counterpuncher in straight lines is a surefire way to eat jabs all night and chase shadows. If you are trying to walk a counterpuncher down, these jabs will give you something to think about. The counterpuncher may also switch things up and throw the odd power punch behind a double jab or hook while they have sidestepped your predictable patterns of movement. More than anything, you will want to trick the counterpuncher into walking into your power shots. Work on your sidestep and establishing leg outside of your opponent’s lead leg, trapping them from moving to the side. Footwork is integral to cutting off the ring. This is crucial to planting the counterpuncher where you want them. Yes, feints and head movement. Never, under any circumstances, think you can consistently beat counterpunchers without either. Think about it: the counterpunching style is one which is built on the basis of hitting back. The fighter will utilize their razor-sharp reflexes to exploit an open window. Now, if you can lie to them and con them into believing you are throwing a particular punch, invoking them to “hit back,” you can counter the counterpuncher. Given that this style of fighter is particularly mean when it comes to giving any opportunities to an opponent, this could be the way to get what you want. Practice your head movement on the heavy bag and in sparring. Use feints, and make your movement as difficult to translate as possible by distorting your opponent’s ability to read you. Remove the predictable movement and work on eliminating any form of telegraphing your punches. Counterpunchers love those who swing and throw haymakers. For this style of fighter, there is nothing more enjoyable. There is nothing easier to predict, either. If you throw single shots at a counterpuncher, this is a simple way to give up any chance you have at overcoming their complex challenge. Mix it up. Use your footwork, head movement, and feints to present yourself as a complex puzzle to work out. Don’t be the headless chicken, running into shots and advertising your lack of IQ. Mix it up. If the counterpuncher shows a propensity for moving in a particular pattern, leaving that jab hanging out, expose it. Go for the body. When you figure that they will sidestep your jab anti-clockwise with an immediate straight right, feint the jab and let them walk into your left hook. Mix it up! Fighting a counterpuncher can be one of the most frustrating experiences of a fighter’s career. They want to use our weaknesses and strengths against you. In order to do so, you have to let them know what these are, so don’t. Fight smart!